In his hand a yellowing letter, dry to his touch. The moisture had gone from it. The life. Fifty years did that to things. He remembers their only date: an art exhibition. Her idea. In ignorance and enthusiasm, he declared it the work of a genius. She disagreed, and was right. In her letter she said he would forget her. Wrong. Now, half a century later, another piece of paper. Her phone number on it. A year since her husband’s death. Breathless, he dials. Two rings. Four. – Hello, Nuala? It’s Martin Armstrong. – Martin Patrick Armstrong. Now where have you been? I liked it good read! Indeed…. Where have you been? 101 words is certainly a challenge and I wanted to see how far I could stretch it. 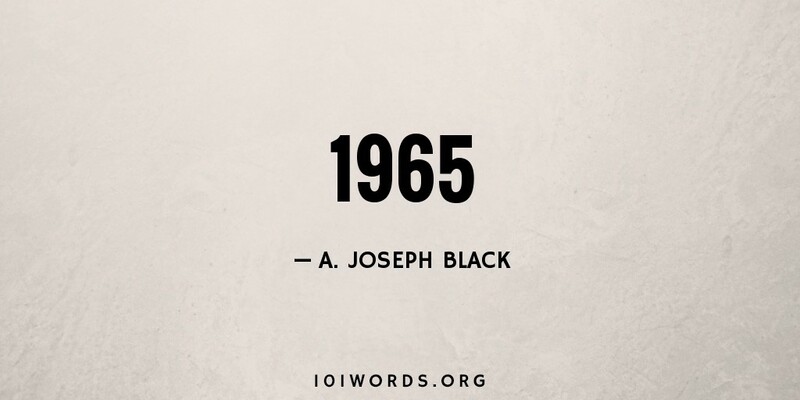 Fifty years could only be achieved by an implicit back story. Specifically, the second piece of paper has Nuala’s phone number on it given to Martin by someone, most probably by a mutual friend with Nuala’s permission, so she’s kind of expecting his call.